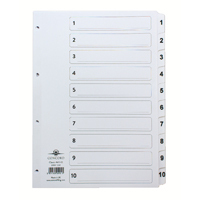 This Concord 12-Part 1-12 Index Divider is ideal for use in lever arch files and ring binders. 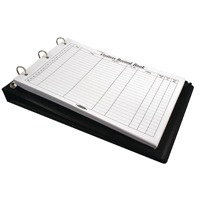 Sized to A4 and hole punched, they fit most ring binders and offer you an easy way to archive and index your files and documents. It’s printed with a numbered 1-12 indexing system that makes creating professional looking presentation, reports and projects quick and easy. 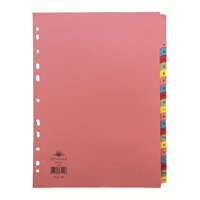 Colour coded Mylar reinforced tabs help to organise the information into a comprehensive order. This index is extra wide, so you can still see the tabs behind punched pockets. 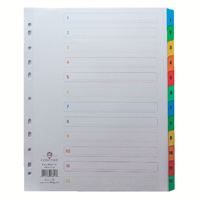 White board with multicolour mylar reinforced tabs and clear reinforced spine for durability. Multicolour contents page for easy cross reference.1-12.